In 1992, Mark Nureddine & his partner began with an idea to develop a business creating the deliverable “Outdoor Kitchen Concept” out of their garage. Today, over 23 years later, Bull Outdoor Products Inc. has grown immensely, and reached widespread prominence in the grilling industry. Bull has over 900 dealers and distributors throughout the United States, and Canada. The company began in 1993 with a 1,200 sq. ft. facility, and has now expanded to three: a 35,000 sq. ft. facility in Rialto, CA; a 20,000 sq. ft. facility in Athens, Tennessee; and its world headquarters in Lodi, CA. Bull Outdoor Products, Inc. now reaches across the world, after partnering in 2015 with a Maltese company to create Bull Europe- a joint venture to support the Bull brand in the European Union, North Africa, and the Middle East. Bull is also the World Food Championships official grill sponsor. Their very own Team Bull member Wade Fortin won back to back World Burger Championships. Bull’s research in the grill industry has become even more cutting-edge, utilizing engineering experts at California Polytechnic to create the new ReliaBULL technology. Typical grills feature unpredictable heating across the surface. 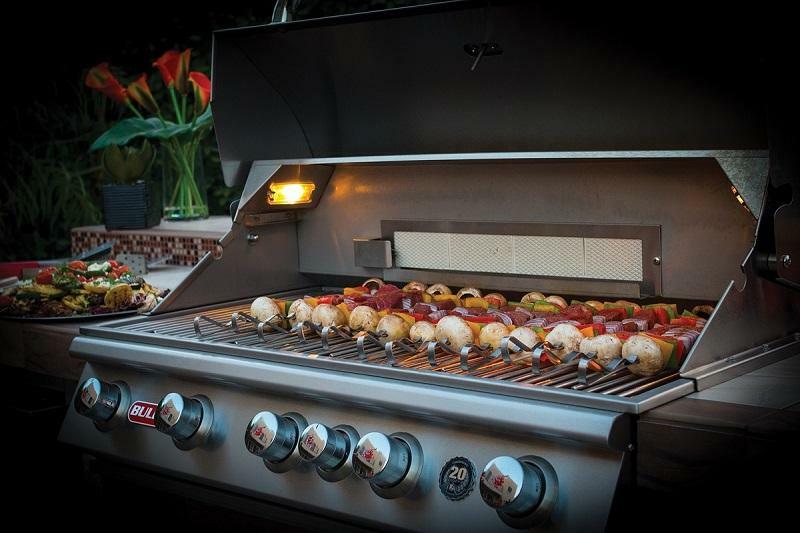 Our new ReliaBULL technology was created to eliminate uneven heating on your grill, making your outdoor grilling experience extraordinary.